Opportunity, Opportunity, Opportunity! Call your Builder now! 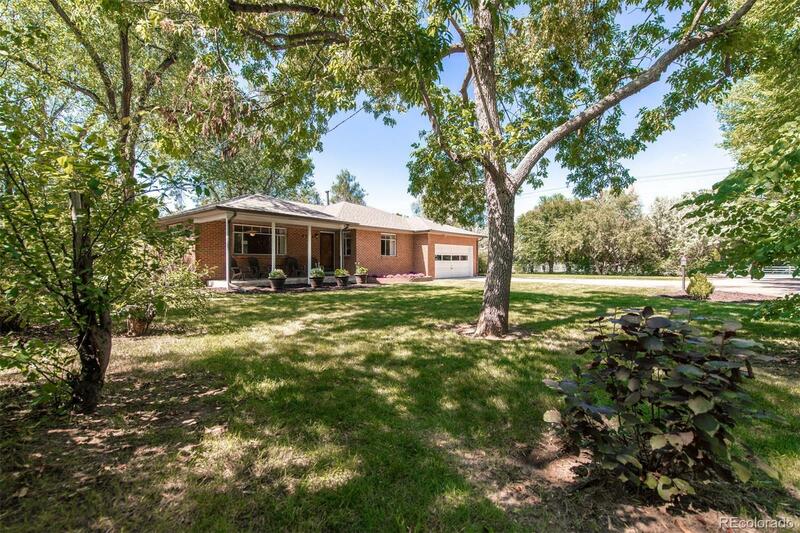 Over an Acre of peaceful, serene property with mature landscaping located in coveted OLD Cherry Hills Village. The land is surrounded by multi-million-dollar estates and offers endless possibilities to build your dream home, expand or remodel the existing all brick ranch style home, which is just waiting for your vision. This property is also zoned for horses with an additional garage outbuilding in the back field. The home has hardwood flooring, a new roof, a full basement, 2 car garage and covered patio. The building site is 1.06 acre but feels like even more! Award winning Cherry Creek High School and sought-after Cherry Hills Village Elementary. Public water and sewer to the house. Home is Sold AS IS. Showings to be scheduled after 10 AM as the property is occupied. No entry to site without an appointment.